Your Credit Union is helping you manage your healthcare costs. With the rising costs in health care, we are looking out for our member’s best interest by creating Health Savings Accounts (HSA). HAS’s are a tax-advantaged medical savings account available to taxpayers in the United States who are enrolled in a high-deductible health plan (HDHP). The funds contributed to an HSA are not subject to federal income tax at the time of deposit, and unlike a flexible spending account, HSA funds roll over and accumulate year to year if they are not spent. HSAs are owned by the individual and may be used for qualified medical expenses at any time without federal tax liability or penalty. However, over-the-counter medications cannot be paid with an HSA without a doctor’s prescription and withdrawals for non-medical expenses are treated very similarly to those in an IRA in that they may incur penalties if taken early or for non-medical expenses. 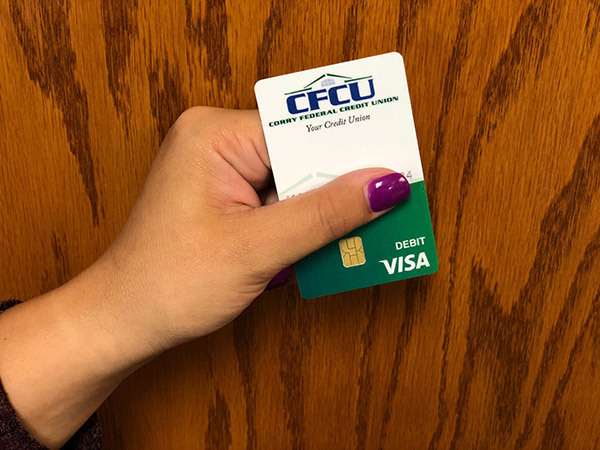 These accounts are a component of consumer-driven health care, and we are proud to be able to offer them to our members with a different debit card (shown below) to help differentiate your HSA from your other checking accounts.